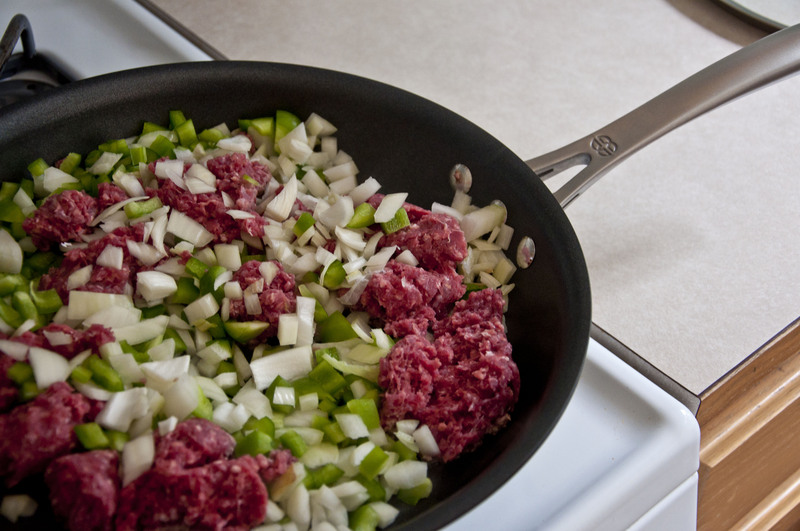 Directions: In a large skillet, cook the beef, green pepper and onion over medium heat until meat is no longer pink; drain. Add water and taco seasoning; bring to a boil. Reduce heat; simmer, uncovered, for 2 minutes. Stir in black beans and tomatoes. Simmer, uncovered, for 10 minutes. 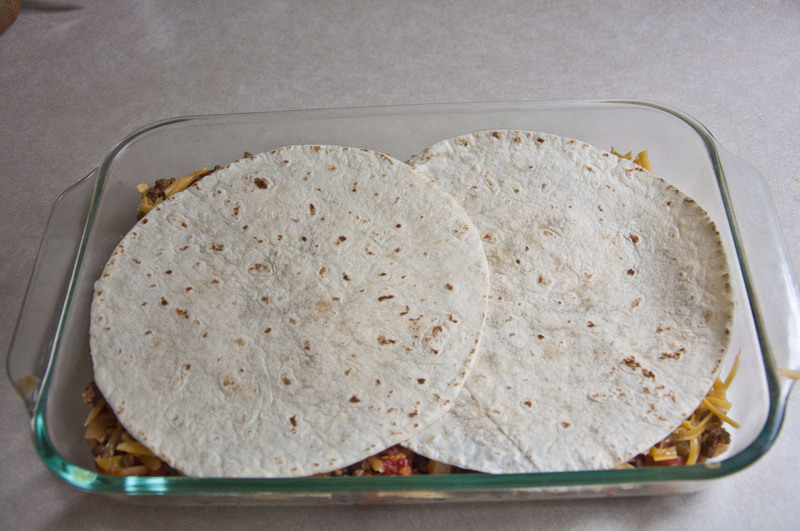 Place two tortillas in a greased 13-in. x 9-in. baking dish. 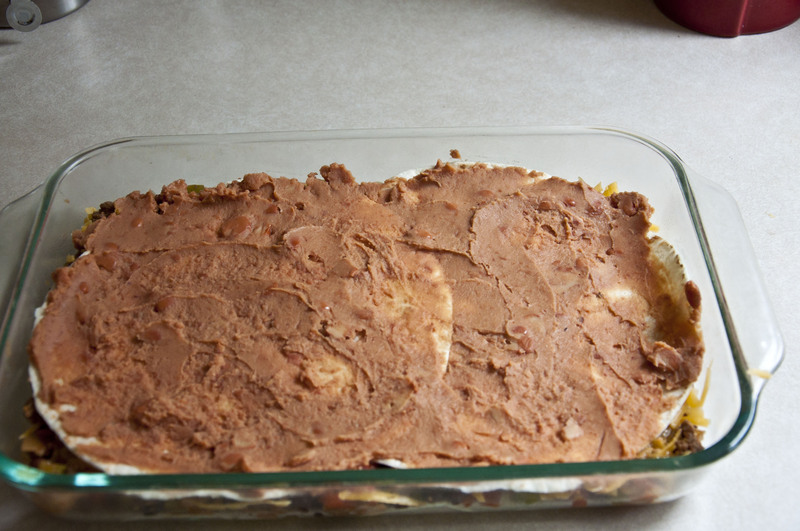 Spread with half of the refried beans and beef mixture; sprinkle with 1 cup cheese. Repeat layers. 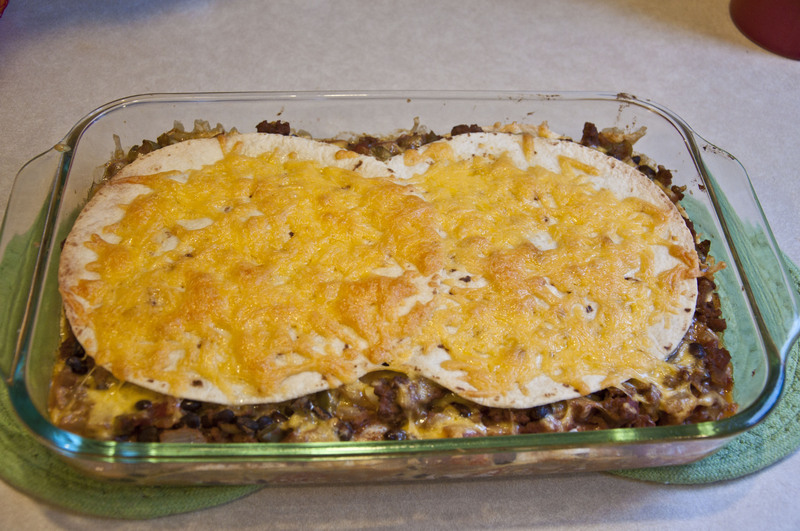 Top with remaining tortillas and cheese. 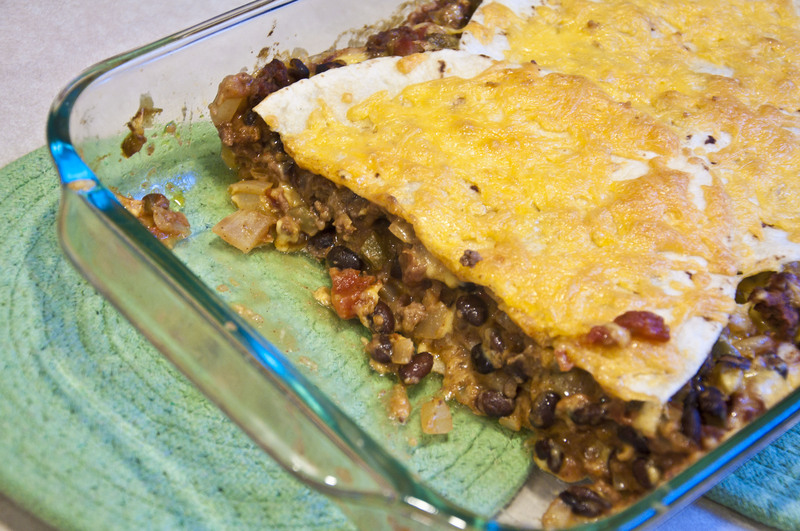 Cover and bake at 350° for 25-30 minutes or until heated through and cheese is melted.Yield: 9 servings.